You Can Transfer Citi ThankYou Points to Virgin America, but Should You? Starting right away, you can transfer your Citi ThankYou points to Virgin America points. This is good news for folks who like to travel to London, Australia, or Hawaii! And, you’ll get 25% bonus points when you transfer by October 21, 2015. Most of the time, it’s NOT a good deal to redeem Virgin America points for flights. But there are a few sweet spots. I’ll show you the best ways to use these points! Citi has been adding lots of new transfer partners to their ThankYou points program in the past year. And effective immediately, you can transfer them to Virgin America, which is their 1st US-based airline partner. It’s always good for folks to have more ways to use their points! 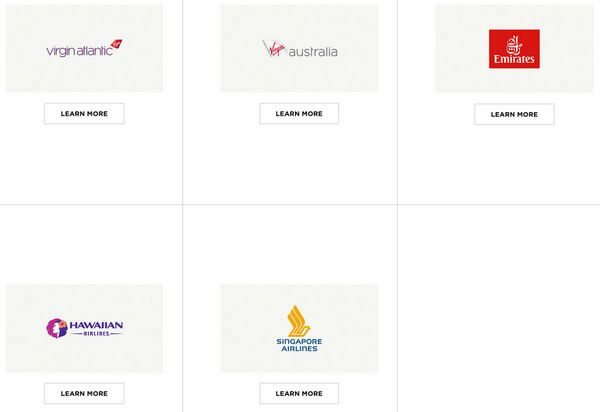 Citi ThankYou points transfer to 12 airline partners, and Hilton Hotels. Citi ThankYou points transfer at a 1:1 ratio to airline miles except for Virgin America. Citi ThankYou points transfer to Virgin America at a 2:1 ratio. But through October 21, 2015, you’ll get a 25% bonus on transfers. What’s the Best Way to Use Virgin America Points? I’ve written about how to earn and redeem Virgin America points. Most of the time, it’s NOT worth it to use Virgin America points on their own flights. That’s because they have a revenue-based award chart within the US, which means the number of points you’ll pay is tied to the cost of the ticket. For example, a ~$347 1-way flight from New York to Las Vegas costs 15,442 Virgin America points. Without the transfer bonus, it would cost over 30,000 Citi ThankYou points, which is NOT a good deal because most airline programs will let you book a 1-way coach award ticket for only 12,500 miles. That said, Virgin America sometimes has seat sales. So you could get a good deal. But, Virgin America charges a set number of miles for their 5 airline partners. Some of them are good deals! Flights to Hawaii on Hawaiian Airlines from the West Coast cost 20,000 Virgin America points (32,000 Citi ThankYou points with the 25% transfer bonus) plus ~$11 in taxes. The cheapest way to get from the West Coast to Hawaii is to use British Airways Avios points on Alaska Airlines flights. Those flights cost 12,500 British Airways Avios points each way (25,000 points round-trip) in coach. And, you can transfer Chase Ultimate Rewards points, AMEX Membership Rewards points, or Starwood points to get British Airways Avios points. But now you can also use your Citi ThankYou points to get to Hawaii! You’ll pay more points, but it’s another option if you have lots of Citi ThankYou points. This is especially handy for folks on the West Coast! Award flights within Hawaii on Hawaiian Airlines are a fantastic way to use Citi ThankYou points! 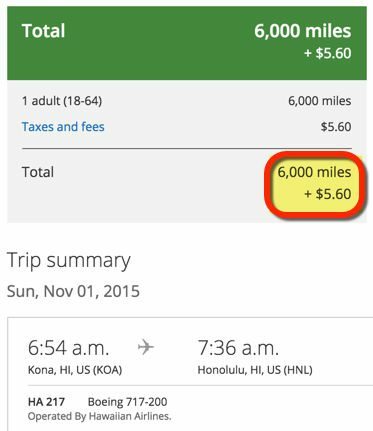 You can fly around Hawaii for 3,000 Virgin America points each way plus ~$6 in taxes. That’s 4,800 Citi ThankYou points with the 25% transfer bonus (but remember you must transfer 1,000 point increments, so 5,000 points), and 6,000 points at the normal 2:1 ratio. You can use your United Airlines miles the exact same way, for the same flights. But, there are more ways to use United Airlines miles because they have a lot more airline partners than Virgin America. So some folks might want to save their United Airlines miles for other trips. Now, you can use your Citi ThankYou points instead! There are lots of ways to get to the United Kingdom (including London). 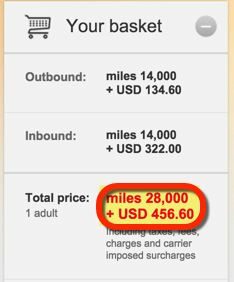 The biggest downside is that you’ll pay ~$475 in fuel surcharges, which makes this a bad deal for some folks. Virgin Atlantic charges more miles (28,000) for the same flights. So, you’ll save miles by using 24,000 Citi ThankYou points instead. Always be sure to run the numbers to make sure you’re getting a good deal. If you find dates that work, this is an easy way to save ~4,000 points per person. And for 35,000 Virgin America points (64,000 Citi ThankYou points with the 25% transfer bonus), you can fly round-trip to London in Virgin Atlantic’s Upper Class (Business Class). I Enjoyed Virgin Atlantic’s Upper Class! Keep in mind you’ll pay ~$1,150 for fuel surcharges in addition to the points, but for the price of a coach ticket to London, you can splurge on a nice flight. 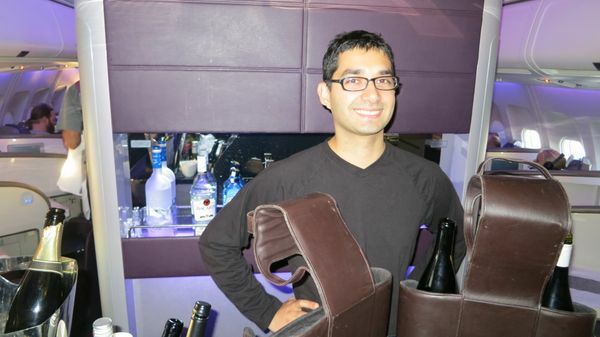 I flew Virgin Atlantic Upper Class, and had a fun time! You can fly to Australia with Virgin Australia for 40,000 Virgin America points plus ~$130 round-trip in coach. Fly From Los Angeles to Sydney for 40,00 Virgin America Points Round-Trip! With the 25% transfer bonus, you’ll need 64,000 Citi ThankYou points. Compare that with 100,000 Delta miles for the same flights, and it’s a terrific bargain! Award seats are usually easy to find, so if you’ve been wanting to visit Australia, this is a good option! 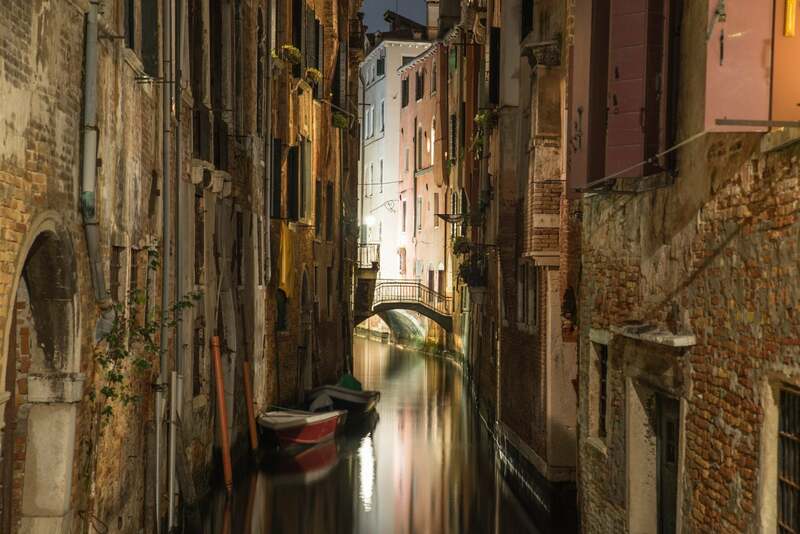 You’ll save points on Virgin Australia Business Class, too! You’ll need 80,000 Virgin America points, or 128,000 Citi ThankYou points with the 25% transfer bonus. Delta charges 160,000 Delta miles for round-trip flights on Virgin Australia, so you’ll save 32,000 points for the same flights with Virgin America points. And, you’ll pay the same amount of fees as coach class! For a long flight like this, some folks may want to use more points for a more comfortable experience! Right now, the sign-up bonus on both Citi Prestige and the Citi ThankYou Premier card is 50,000 bonus Citi ThankYou Points after spending $3,000 on purchases within the 1st 3 months of account opening. These 2 cards earn Citi ThankYou points and allow you to transfer the points to airline partners. The $95 annual fee on the Citi ThankYou Premier card is waived the 1st year. Check out my review of the card. And the $450 on Citi Prestige is NOT waived the 1st year, but read about why that shouldn’t scare you! With both cards, it’s easy to get a couple of award trips from the sign-up bonus, depending on how you like to use your points! You can now transfer Citi ThankYou points to Virgin America points. And, through October 21, 2015, you’ll get a 25% bonus on transfers! Virgin America points are useful for trips to London, Hawaii, or Australia on partner airlines because they have an award chart that requires a set amount of points. Virgin America ties the number of points on its own flights within the US to the cost of the ticket, and it’s usually NOT a good deal. It’s always good for folks to have more options to use their points, and I’m excited to see Citi add its 1st US-based transfer partner! I hope more will follow!